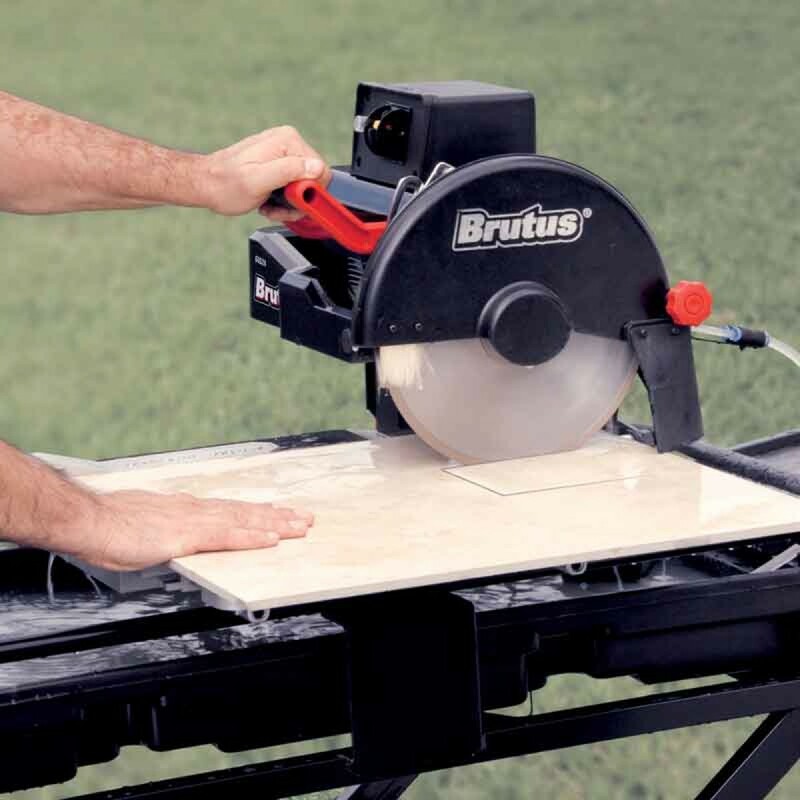 The QEP Brutus 61024 Professional Tile saw includes an enclosed dual water spray system and an adjustable tilting head for quick miter cuts of 45 to 90 degrees. Enclosed dual water spray system evenly distributes water flow, extending the life of the diamond blade. Adjustable tilting head offers quick and easy 45 to 90 degree miter cuts. 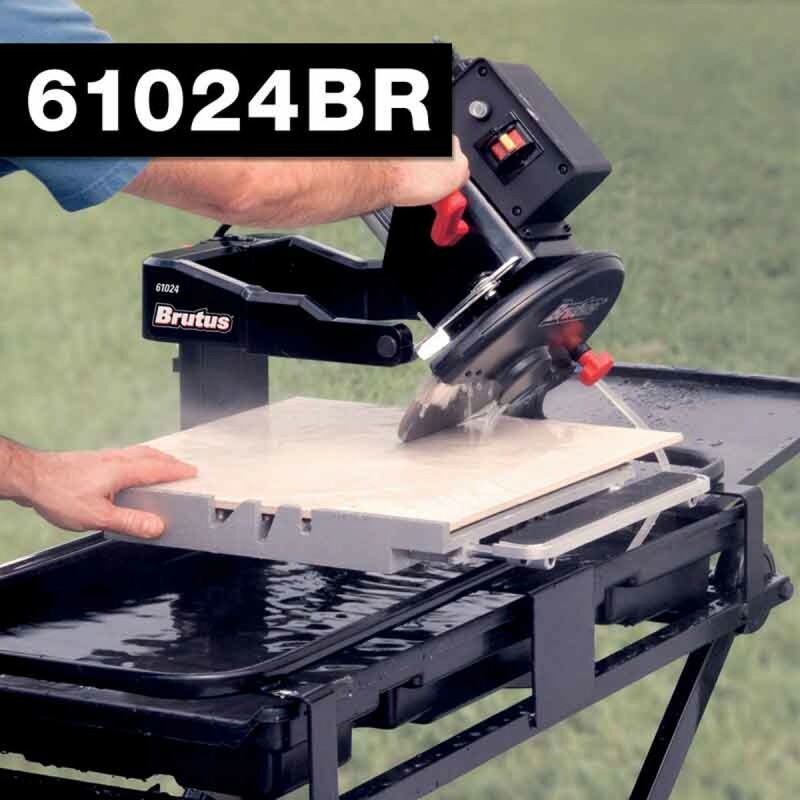 Automatic thermal overload protection prevents tile saw from overheating. Locking tilt-up blade guard makes blade changes easy. 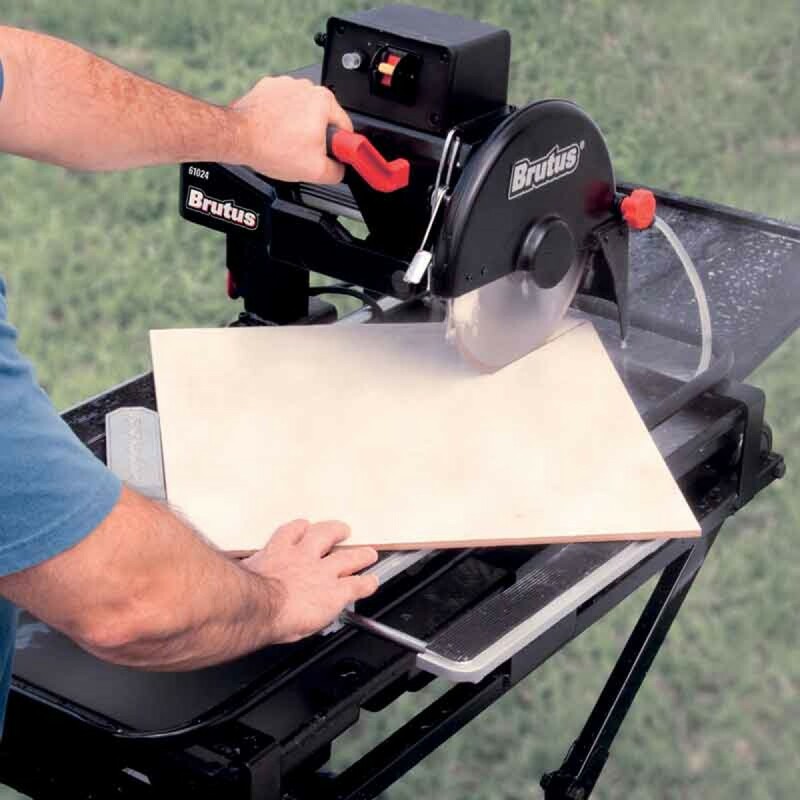 Convenient stand with rear locking wheels keeps the tile saw secure and easily transportable. Rust proof, fiberglass impregnated water tray easily slides in and out for easy cleaning. Large non-slip rubber matted table with pull-out extension to support large format tile and slabs. Rear water tray for water containment. Plunge cutting for interior cut out of tile. Easy Fold-out stand with 3 inch rear locking wheels. 10" Continuous Rim Wet cutting diamond blade.